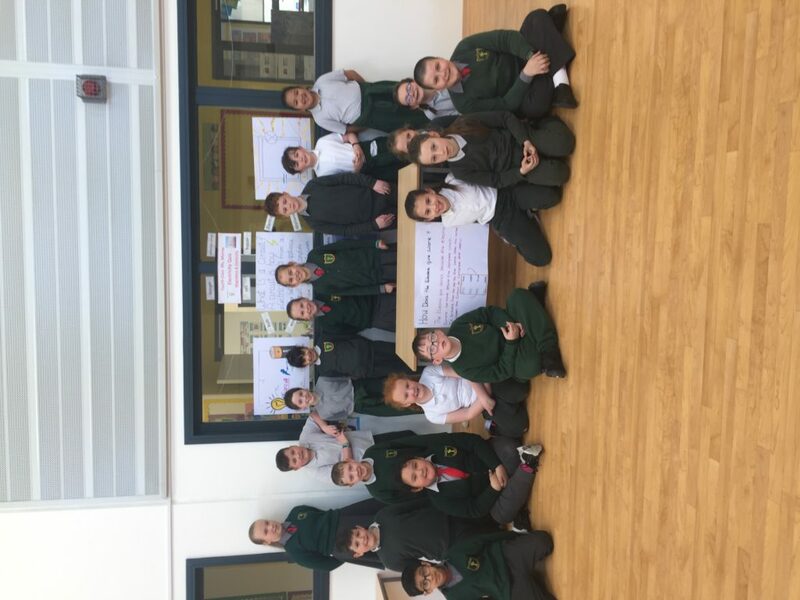 4th Class have been learning about electricity this month. We started off by brainstorming things that use electricity in our classroom, such as the laptop, lights and projector. We then thought about what electricity is and where it comes from. Electricity is the flow of electric charge or current. Electricity can be generated from renewable and non-renewable sources of energy. 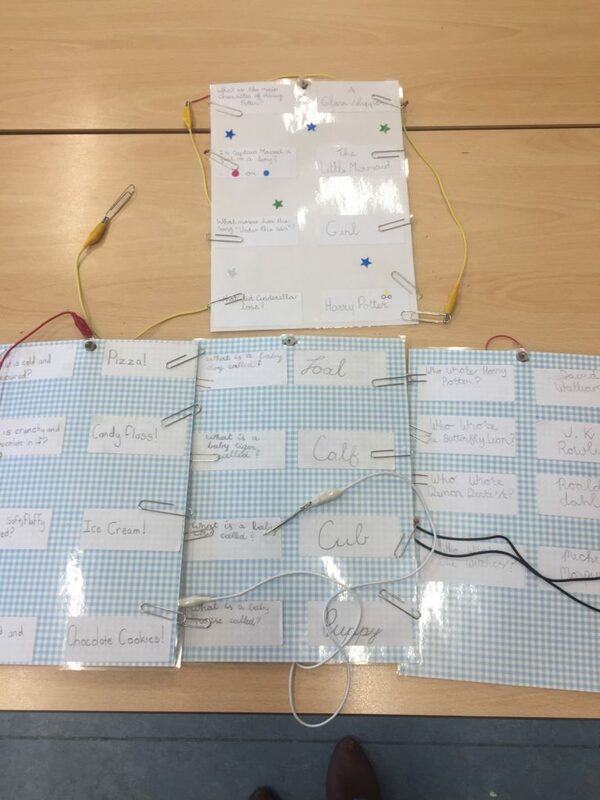 We wanted to explore how electricity travels from a cell (battery or mains) to an appliance. We used tinfoil to join the battery to the bulb. The bulb lit up because the electric current can flow through the tinfoil. This is called a circuit. 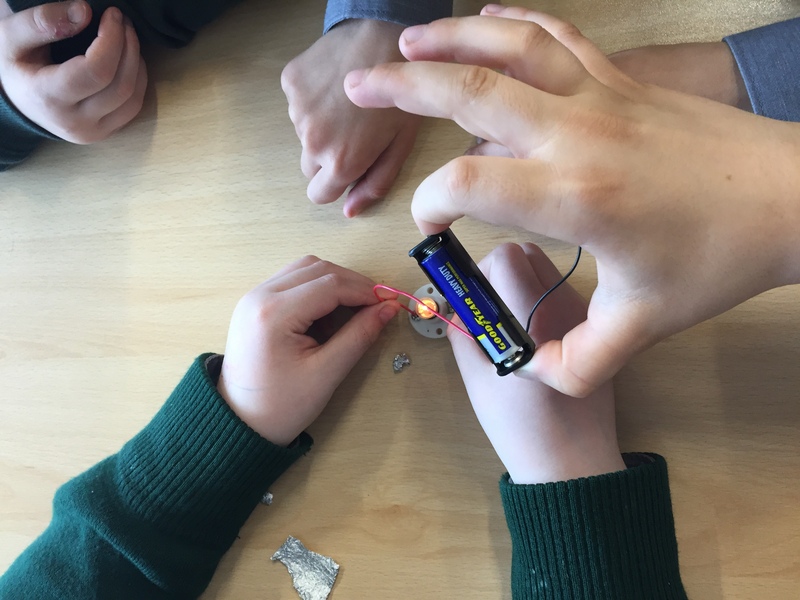 The electric current travels from the battery through the foil to the bulb. Next, we discussed why wires are used inside appliances instead of tinfoil. 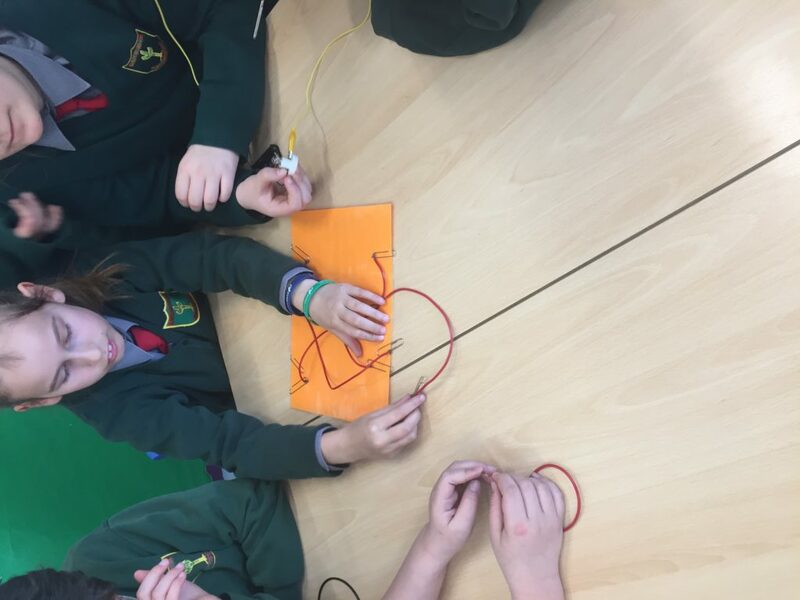 We used wires, a cell in a holder and a bulb to create our own circuits. 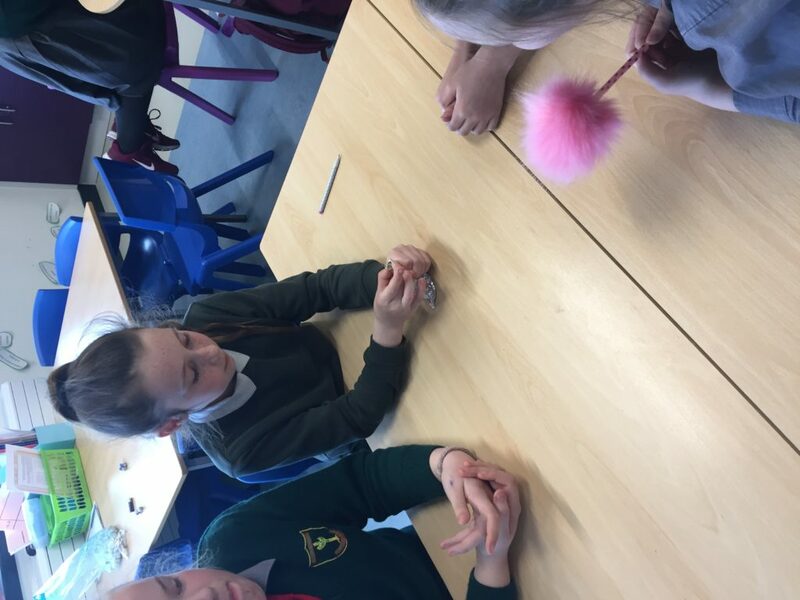 Now that we understand how circuits work and how electricity travels we decided to make our own ‘electric quiz’. We used wires, paper clips, a cell in a holder, a bulb and a page. We brainstormed topics and questions for our quiz and wrote out questions and answers which we arranged on the page. 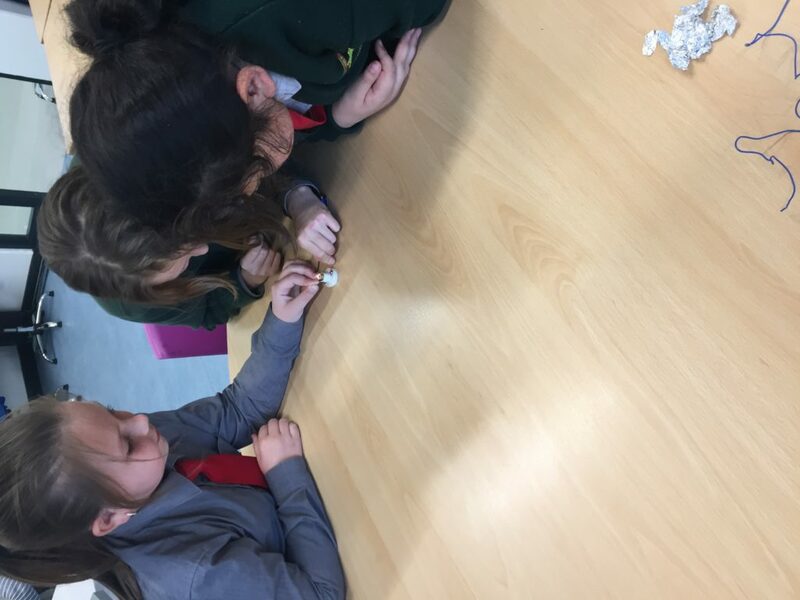 To create the circuit we joined the correct questions and answers together. We joined the cell to the bulb and had two wires with paper clips to be used to play with the quiz. The bulb lights up when the correct question and answer are selected and the circuit is complete. If the wrong answer is chosen the bulb will not light up as the circuit is not complete. We made quizzes about movies, animals, books and food! We hope everyone has fun testing our quizzes at the science fair!